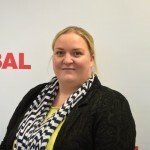 Building Adhesives Ltd (BAL), the market-leading manufacturer of full tiling solutions including adhesives, grouts and ancillary products, has hired two new Specification Managers as part of its drive to expand its specification support team. tects, designers and specifiers supporting them on M40/M20 specifications, providing project support and delivering RIBA-accredited CPDs. Tracey will deliver support in North West and South West London while Alan will work with clients in the Midlands. Alan has m ore than 20 years’ experience in the flooring sector, working alongside architects, specifiers, contractors and sub-contractors for companies including Altro, Polydeck Resins, and RSL. Key installations Alan has supported include flooring for Chelsea Football Club, Wimbledon, and BAA. Tracey also has significant experience in the flooring and walling sector with companies including Tarkett UK, Altro, and Interface supporting end-users, designers, contractors, distributors and architects on key projects and delivering RIBA-accredited CPDs. 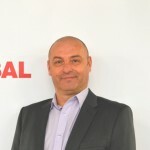 BAL National Specification Manager, Matthew Leaver, said: “We’re delighted to welcome Alan and Tracey to the team as part of our continued development and investment in the specification sector to support all parties in delivering long-lasting and high quality tiling projects across the whole of the UK. BAL has a number of free tools available to architects and specifiers to assist them from project start to completion including Powerspec.com, a free specification tool to help create concise, technically accurate and up-to-date specifications for tiling installations. Specifiers and architects can also take advantage of BAL’s free and dedicated Technical Advisory and Specification Service (TAS) for technical queries and Sample Testing Service to ensure the correct selection of tiles and fixing products during the specification process.